You can’t swing a cat around the blogosphere without hitting a post that purports to teach you how to “go viral”. It is an obvious topic to cover – all bloggers would love to go viral, so spitting out an article on the subject seems like a sensible thing to do. With that in mind, you might consider it odd that I have decided to write about viral posts here on ManageWP. But today, I want to offer up something a little different to the plethora of “go viral guides” that are already out there. Instead of relying upon empty advice with no real evidence to back up my assertions, I am going to walk you through a number of actual blog posts that have gone viral, and explore what shared qualities they have. As I began my research, one thing became clear to me – almost every single viral post was published on a site that already had a sizable following (thousands of followers). 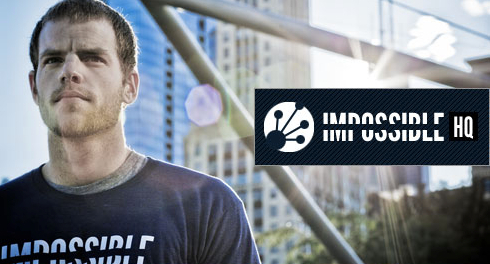 A recent example would be a post published on Joel Runyon’s Impossible HQ, a blog that has been around since 2010. There are of course exceptions (Bronnie Ware’s “Regrets of the Dying” being one), but you will find that most viral posts are built upon a solid platform. After all, you need some kindling to start a fire. Without a sizable core of people to start sharing the post, it won’t get picked up by enough additional people to create a snowball effect. That doesn’t mean that you should not try to produce viral posts if your blog doesn’t yet receive tens of thousands of visitors per month. But it does mean that a post that might go viral elsewhere may not go viral on your blog. If there was one thing that really stuck out whilst I researched viral posts for this post, it was that every single one involved some kind of story. 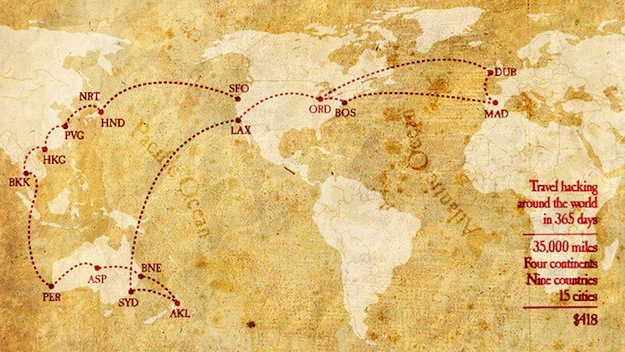 Even Steve Kamb’s “How to Travel the World for $418” was story driven, although one could argue that the main cause of its viral nature was its enticing headline and promise of bargain travel. Steve’s post was syndicated by Gizmodo. Both posts are story-driven and attracted a great deal of attention due to their subject matter. They were always likely to provoke strong responses from both sides of the fence. In short, they represent perfect viral content. One thing that also struck me is that story-driven viral posts are often “just another post” – nothing that the blogger considered particularly special at the time. I dare say that Rick thought the open letter to GQ magazine might get far more traction than it actually did. And then the post that he thought nothing of exploded. Joel Runyon debated with himself whether to even publish his viral post, and look what happened to that. Don’t underestimate the potential power of blog posts that you may feel are of little value. One thing a viral post must do is in some way fulfill a desire. This does not mean that it needs to be the “ultimate guide” to something (in fact, during my research I came across no in-depth guides that had gone truly viral) – it means that the post needs to resonate strongly with its readers. Take Benny Lewis’ 29 life lessons learned in travelling the world for 8 years straight – read that and tell me it doesn’t teach you something. However, it’s not just necessarily about being taught – it can also be about stoking debate (after all, plenty of people have the desire to be opinionated and argumentative). If your words arouse emotion within its readers, you could be onto a winner. 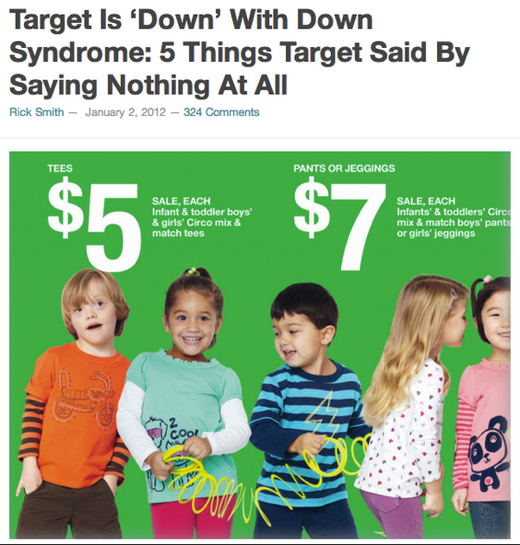 When some bloggers see a viral post, they are filled with envy. They take a “why not me” attitude. What they perhaps don’t consider is that the viral post is the tip of the iceberg – that it was preceded by hundreds of other posts, none of which went viral. A good example of this is Noah’s Dad. 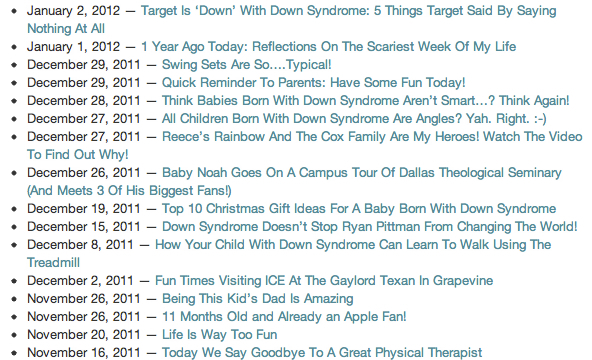 When Rick’s Down syndrome post went viral, he had been publishing posts on a consistent basis for a long time. The viral post was the 197th he had written since starting the blog in 2010. That’s some serious commitment, and a whole load of blog posts that didn’t go viral. Do you put out this much content on your blog? If there were only one piece of advice I could give when it comes to writing a viral post, it would be to keep writing. Publish as many posts as you can, focus on providing quality content, and be patient. 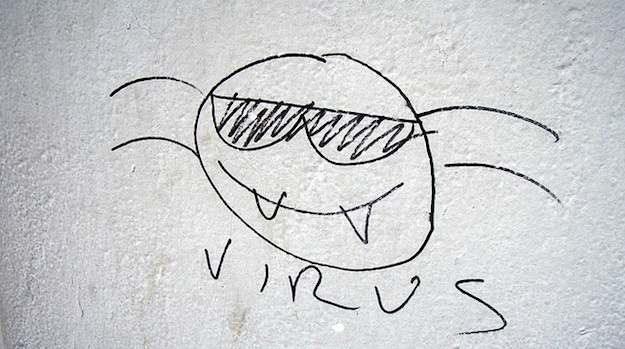 “Viral” is of course a subjective term. I have experienced a good level of success on many blog posts I have written (such as the LWB 100), but nothing that I would consider viral. But let’s open the gates to flexibility – have you had a post that has outperformed all others on your blog by a comfortable margin? If so, why do you think that the post proved to be so popular? Let us know in the comments section!